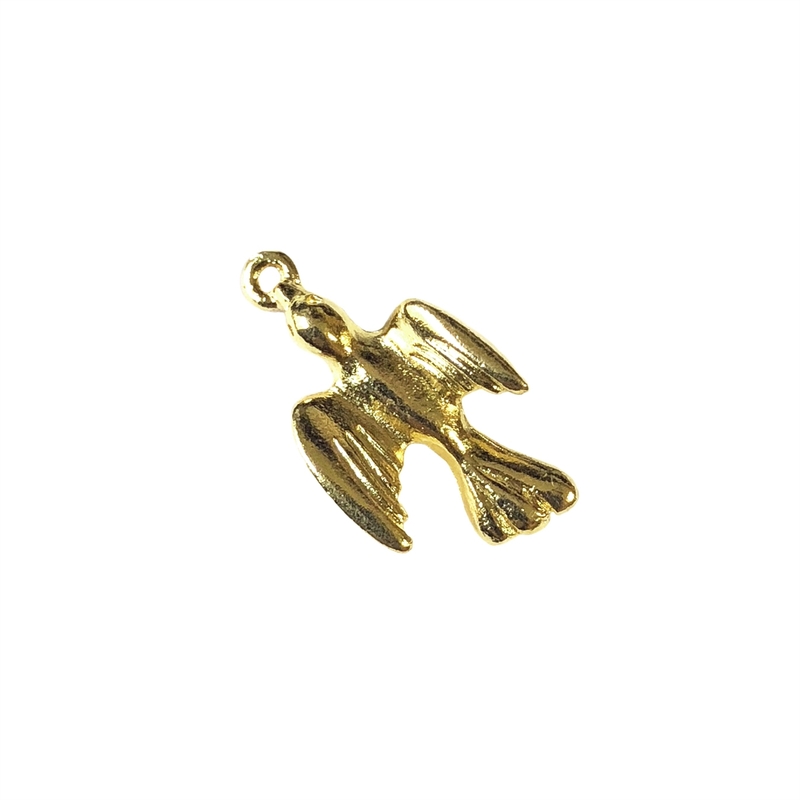 Bird pendant, 22K gold finish pewter, B'sue by 1928, bird charm, bird, dove, lead free pewter, pewter castings, US made. Measures 22 x 14mm. Nicely detail wings on front and back. 22K Gold Finish is a rich bright gold wash over the pewter. Very strong and sturdy, it is lead and cadmium free as are all our finishes at B'sue Boutiques.